Rent Dresser Mansion | Corporate Events | Wedding Locations, Event Spaces and Party Venues. Dresser Mansion can accommodate a party of up to 200 guests. Our experienced staff will work with you to make sure your event goes just as planned. On the day of your event, every area of the house is open to you and your guests. On the day of your event, every area of the mansion is open to you and your guests. Before the event, you will have your own private facilities to relax and get pampered in. All events receive table and chair set-up and minimal second set-up. 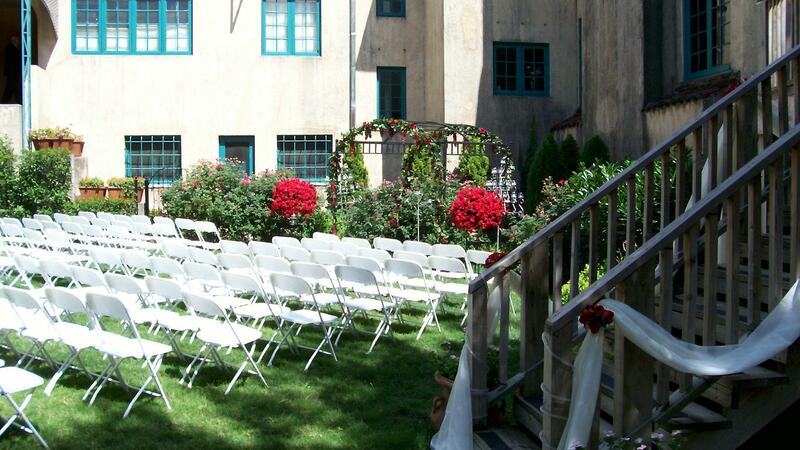 Dresser Mansion’s tables and chairs will be set-up for your event, upon arrival to Dresser Mansion. •A complementary tent covering the brick patio. •Enjoy use of the entire mansion, including the main level, lower level library, patio ballroom and courtyard.